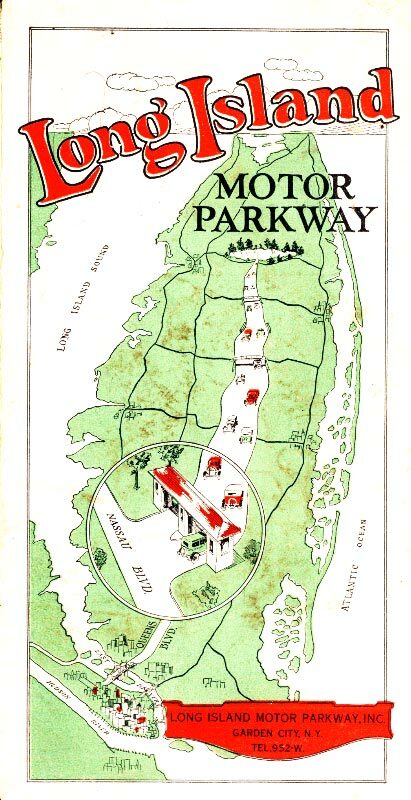 The front cover featured the new entrance on Nassau Boulevard and an illustration of either the planned toll gate at Nassau Boulevard or the Rocky Hill Road Lodge. The Rocky Hill Road Lodge. 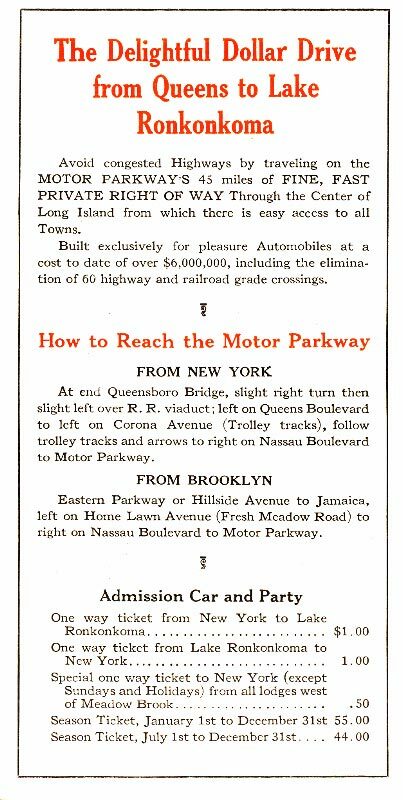 The "delightful dollar drive from Queens to Lake Ronkonkoma" is the equivalent of $13.88 today. 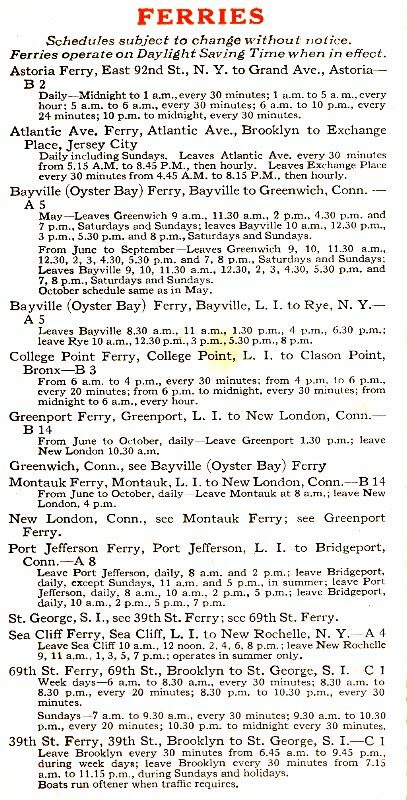 The 14 ferry routes of Long Island in 1929. 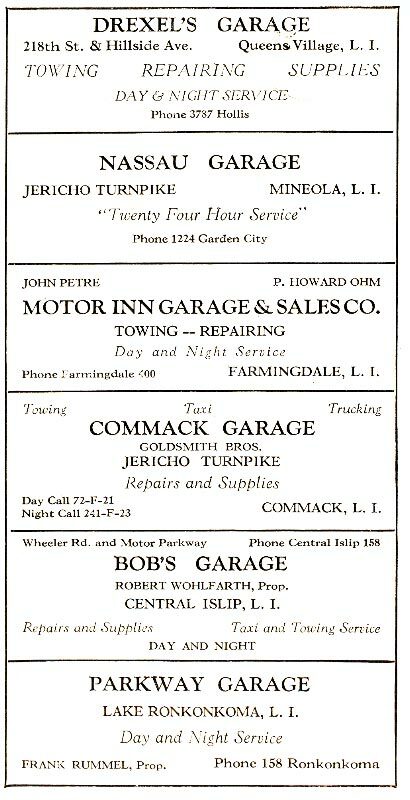 Six garages that advertised in the brochure. Anyone have photos? The Long Island map on the reverse side. 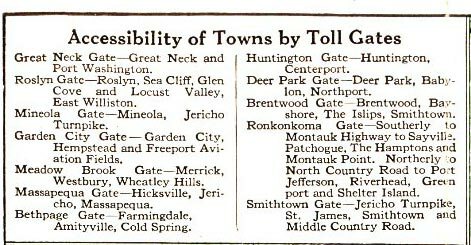 The brochure highlighted "toll gates" rather than "toll lodges". Missing from the listing was the Rocky Hill Road Gate. Even though it was just an entrance, the Deer Park Gate was listed. 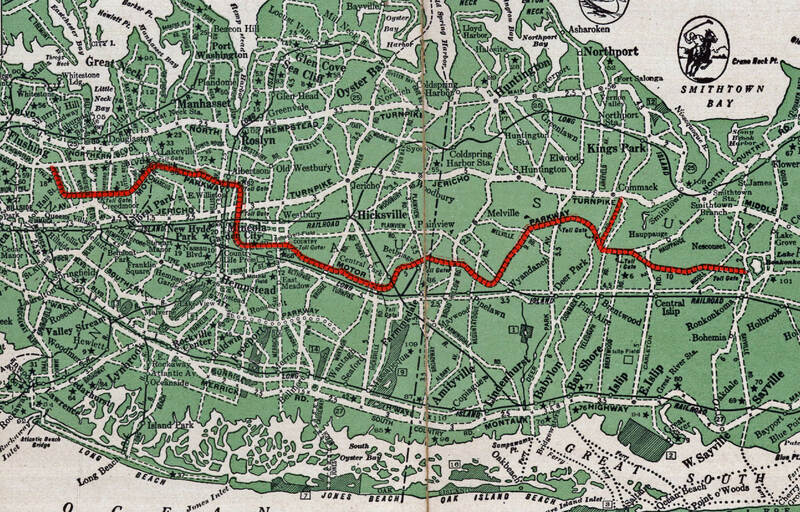 The map highlighted the new Nassu Boulevard entrance, the location of the toll gates, and the Commack Spur.